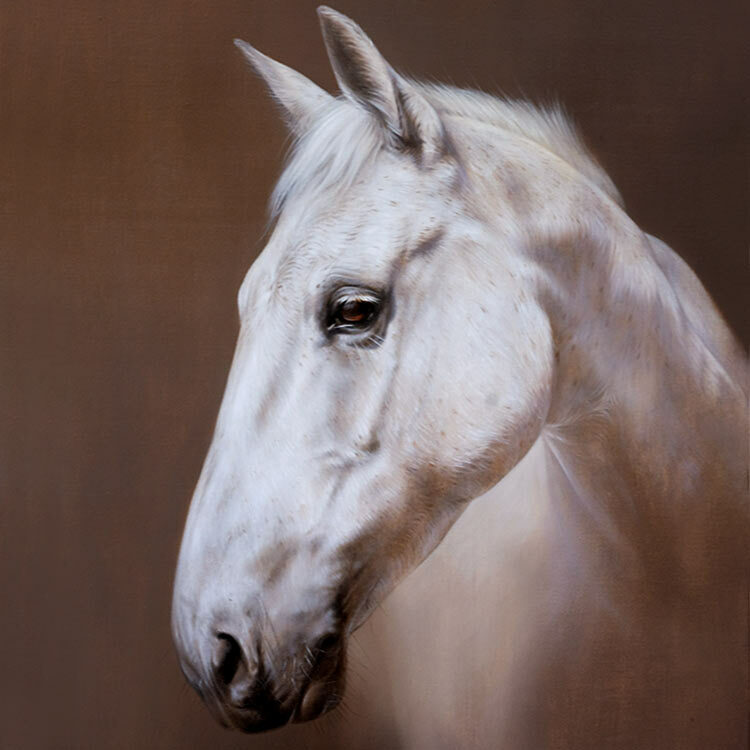 Garry contacted us in 2010 when very sadly his friends Shire horse passed away. He asked if we would be able to create a portrait of both 'Nothing Left To Prove' and his friend Tony standing with the shire, so that it could be something to treasure for a very long time. 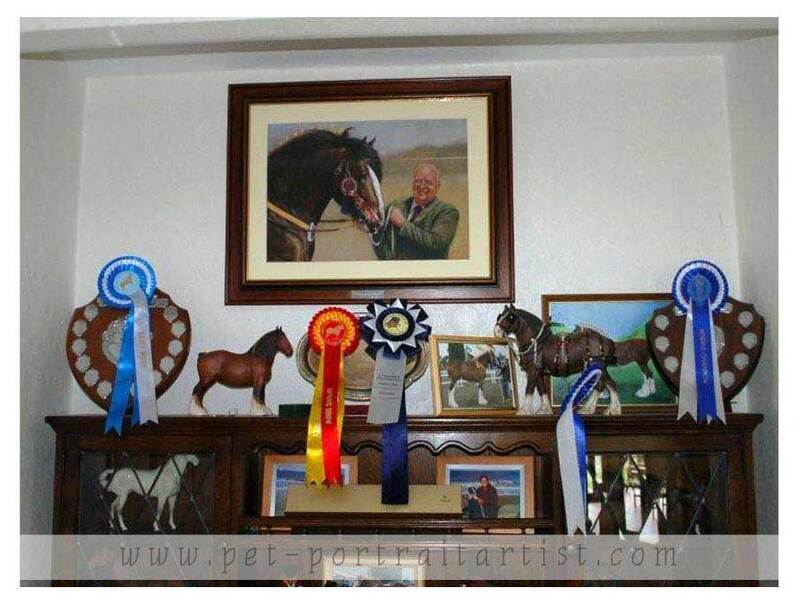 The painting has now been displayed pride of place above the winning rosettes and trophies they have received and the clients couldn't be happier. 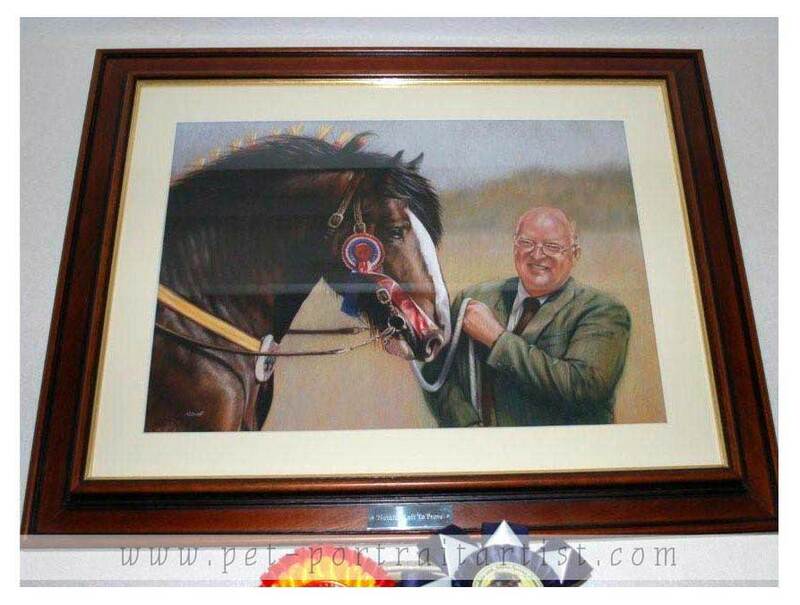 Gary telephoned us on a number of occasions to discuss the painting, we even had a plaque made which sits nicely on the frame. The painting was a complete surprise to the recipient and it was handed over at a special meal organized by Gary for his friend and family, the night was a great success! This painting was commissioned by Gary Leese and given to me. It is absolute magic. 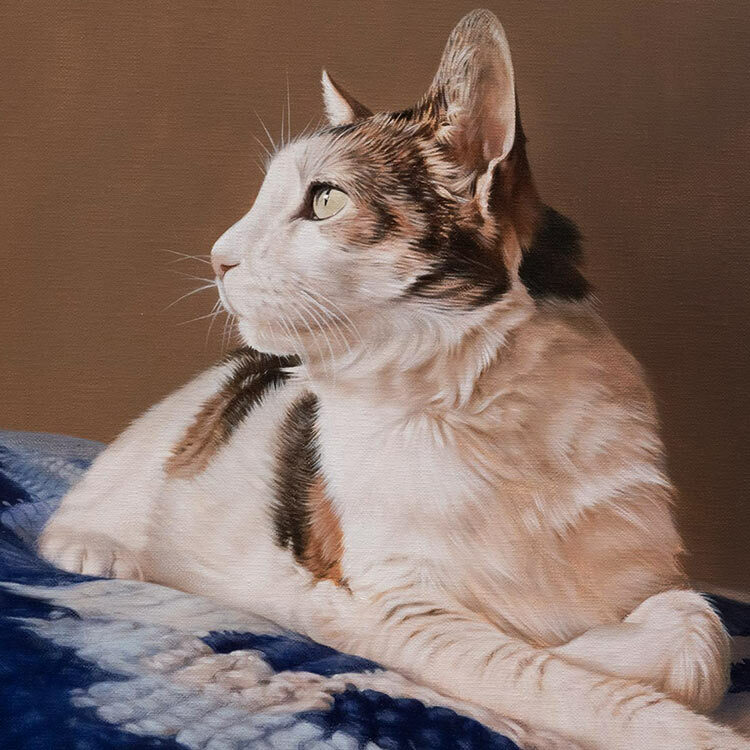 Gary telephoned us personally to thank us, once when the painting arrived, the second to let us know how it went on the hand over meal. It was perfect!